Toronto-based, Harley Valentine (b.1983) is widely recognized for his large-scale sculptural installations. Self-trained, Valentine uses state of the art printing technology to create dynamic forms that play with the concept of portals or passageways which the viewer can gaze through, and at times, enter. 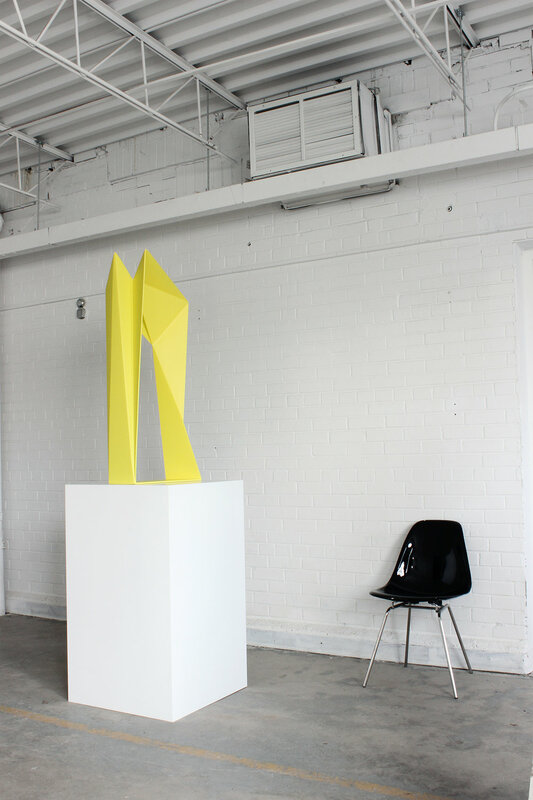 Valentine has exhibited his work across Canada and the United States with numerous public art commissions in prominent locations such as the Sony Centre for the Performing Arts / Daniel Libeskind Tower Residence. Recent works incorporate performance, where dancers travel in and around the hard-edged folds of Valentine’s steel structures.